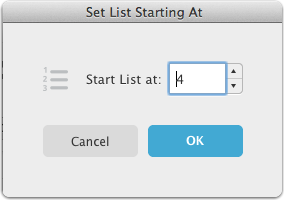 Sometimes you will want to continue a numeric list from one step to the next. You can start a numeric list on whichever number you'd like. Select the list you'd like to change. As you can see, the list now begins at 4.